Damn that kitchen was small. You're right the photos don't do it justice. I remember you all setting a rule that really only one person was allowed in the kitchen at a time, otherwise people just start getting grumpy. Can't wait to see the reveal in the new kitchen, I'm loving the teaser! I've been remiss in not posting more pics of our awesome Labor Day weekend in Delaware! You may remember from this post that Jeff and I headed to the Delmarva Peninsula with our friends the BBacks for the long weekend. 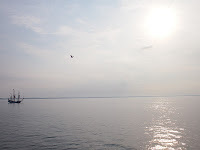 During our stay we took a ferry to famous Cape May, New Jersey, only 40 minutes from Lewes by boat. I've heard so many great things about Cape May but had never been, and the BBacks were kind enough to oblige. Turns out, the entire city of Cape May is considered a historic district due to its concentration of Victorian homes. It's really something to see. 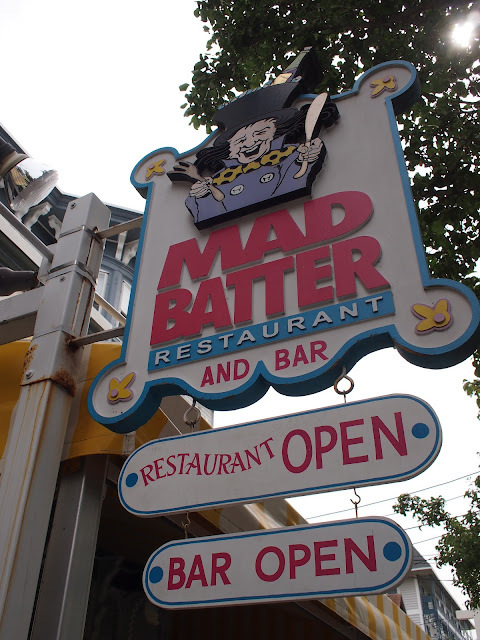 We stopped for lunch at the Mad Batter which was delicious! Did a little tour of town. And finally, some shots of the famous Victorian homes. They really were amazing... and EVERYWHERE. Rows and rows of them. Unlike anything I've ever seen. I have a thing for red doors. Pretty fantastic old Victorian mansions on the waterfront... if you're into that sort of thing. 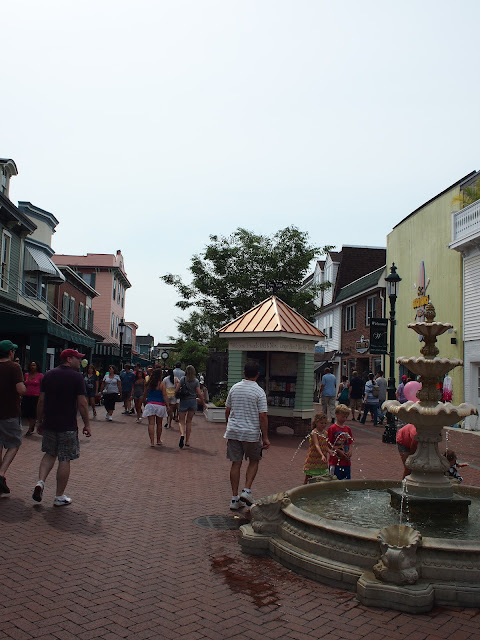 I definitely recommend stopping by for at least a day-visit in Cape May if you're ever in the neighborhood. It's not to be missed! And thanks to the BBacks for taking us!